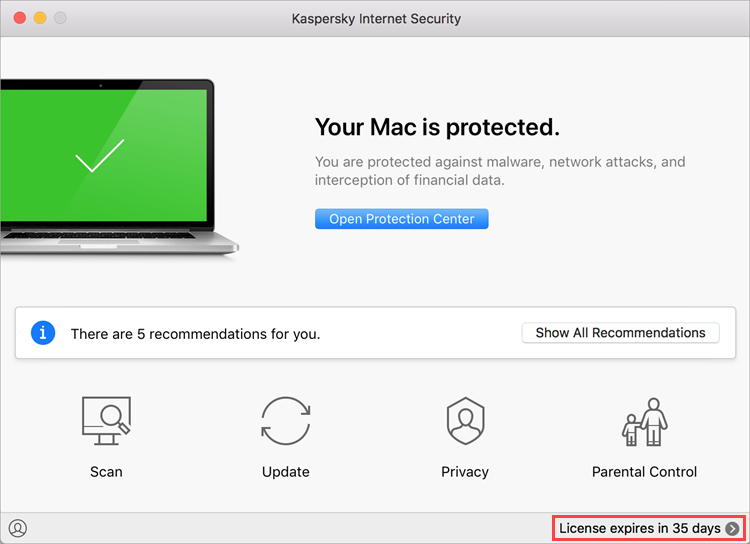 If your license for Kaspersky Internet Security for Mac has expired, the application will continue to work, but its functionality will be restricted. You will still be able to run scans of your computer, but the databases will no longer be updated. 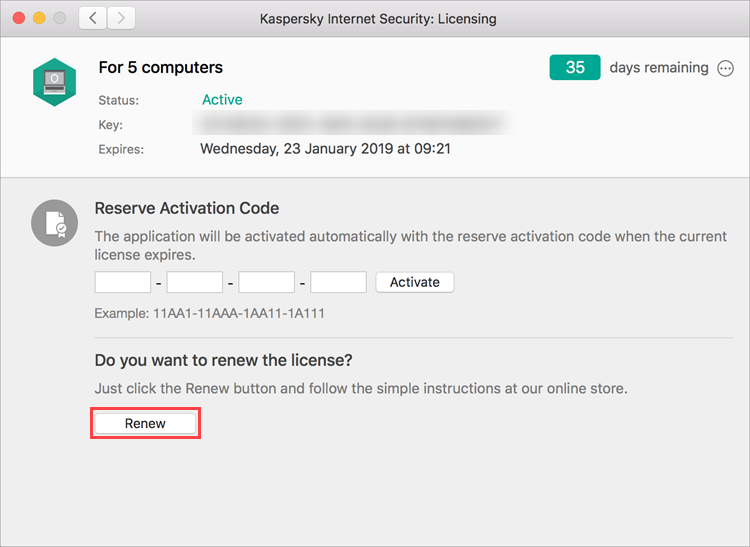 You can renew your license for Kaspersky Internet Security for Mac at a discount both while it is still valid, and after it has expired. To do so, purchase an activation code for license renewal and enter it into the application. 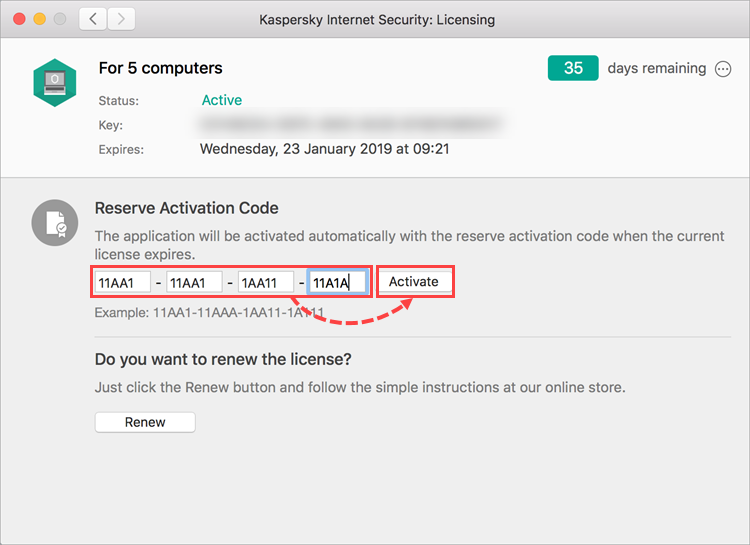 We recommend that you connect your application to My Kaspersky to save your license information in your account. See this article for instructions. 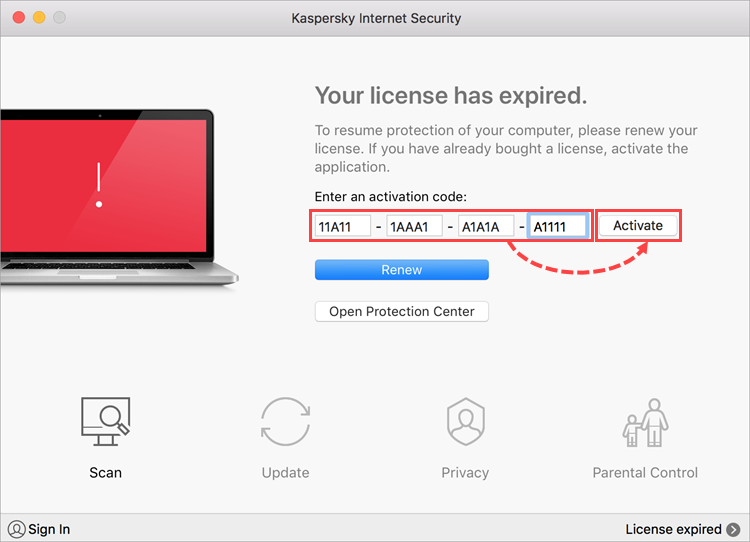 In the main window of Kaspersky Internet Security for Mac, click the link with your license information. The Renewal & Upgrade Center page will open. The activation code for renewing your license will be sent to the email address you specified when making your purchase. Enter the activation code for renewal in the main application window and click Activate. The license term will be renewed. In the Reserve Activation Code section, enter the activation code for renewing the license and click Activate. The application will add the activation code as a reserve code and renew the license automatically when your current license expires. Contact the Digital River customer service department. If you get an error message or are prompted to reduce the term of your license, see this article for a possible solution. You can find instructions on how to solve activation issues in the Activation errors section of the Knowledge Base. If the issue persists, submit a request to Kaspersky Lab technical support via the My Kaspersky portal. Please include a detailed description of the issue. 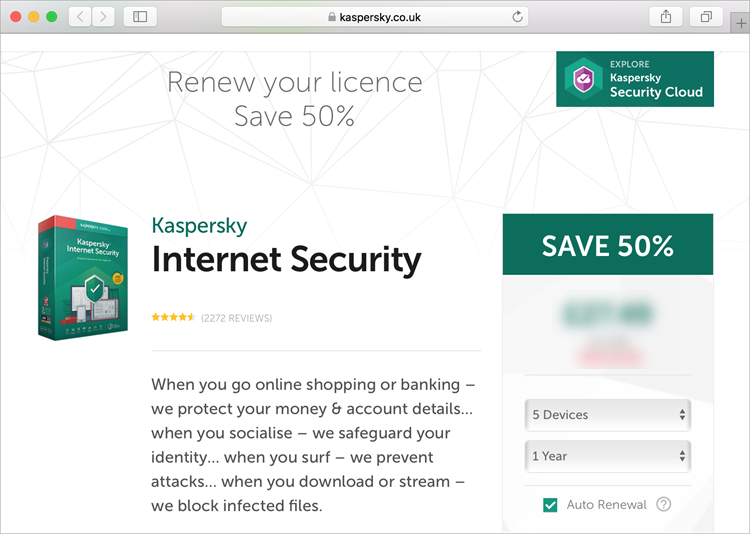 For information on how to use My Kaspersky, see the Online Help page.